Here are the top goalscorer odds for the upcoming 2014/15 UEFA Champions League. Cristiano Ronaldo, who won the top goalscorer title in the last two seasons, and three times in total, is the favorite to win the prestigious trophy once again. Last season, Ronaldo smashed the UCL per-season scoring record, previously held by Lionel Messi, by netting 17 goals and helping Real Madrid win their long awaited La Decima (the tenth UCL title). Lionel Messi, who won four consecutive top goalscorer titles, from 2008/09 to 2011/12, is the strong second favorite to win this year. Luis Suarez, who will miss the first three UCL group stage games due to the World Cup biting incident, is the 8th favorite. It is worth remembering that Suarez missed the opening six games of the 2013/14 English Premier League season, while playing for Liverpool, and still managed to win the league's top scoring title in the end. And he won it by a stretch. The all-time UEFA Champions League scoring record is presently held by Raul, who scored 71 goals in 142 appearances in the competition. It is very likely that either Ronaldo or Messi, will surpass Raul this year, as both players are currently at 67 goals each. 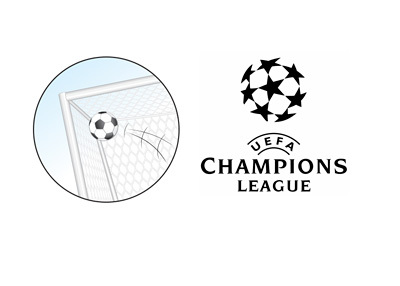 Please note that the goals scored in the Champions League qualifying rounds are not counted.